Almost ran over with lawn mower. Hi, I’m glad she survived Lawn Mowing Day, sometimes it’s good to be big round and orange. 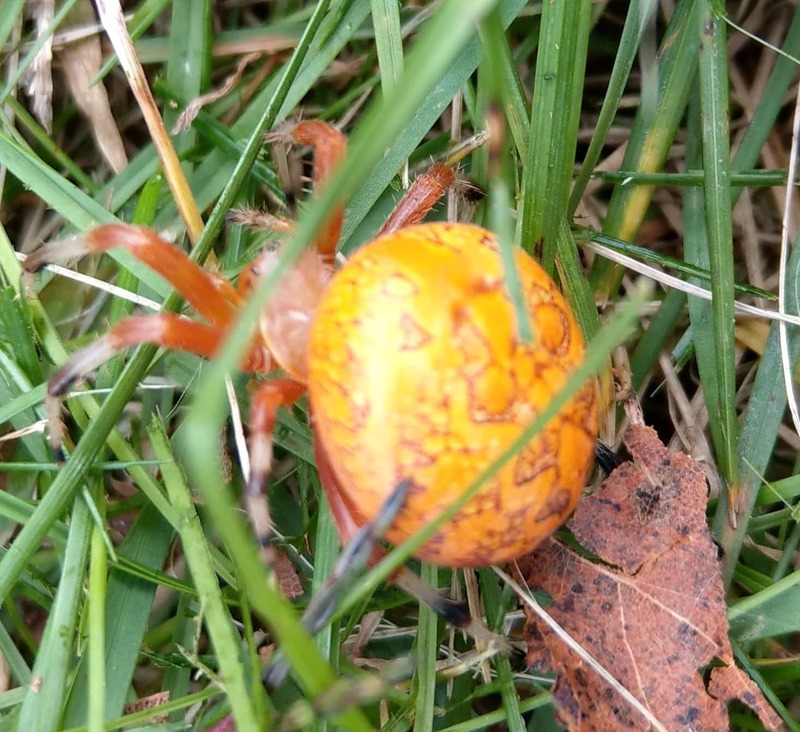 Pretty sure it is a female marbled orbweaver, Araneus marmorous. They aren’t usually on the ground, the females have big orb-shaped webs that they rest in facing downward.